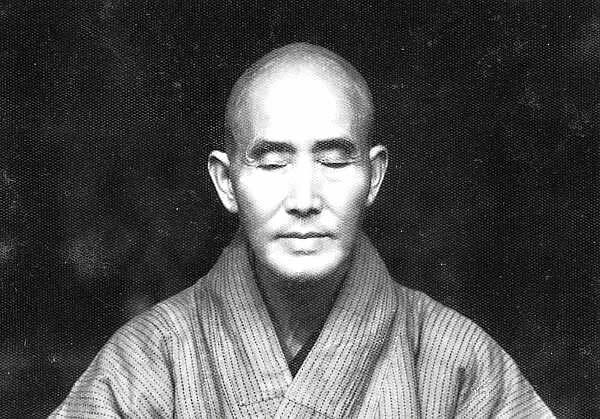 By the Venerable Master Hsu Yun (”Empty Cloud”, 1840-1959), who wrote this song at the age of nineteen and left it to his two wives when he escaped from his household to become a monk. The marriage to the two women was pressed upon him and never consumated in either case. Later, inspired and deeply moved by the Master’s virtue in the Way, his two wives left home and became bhikshunis. Song of the Skin Bag, the skin-bag lament! Before the Empty eon, it had no name or shape. Since Buddha Awesome Sound, a hindrance it has been. Three hundred sixty joints connect the body’s frame. Its every inch is covered by eighty-four thousand pores. It holds up heaven and pillars earth a spirit magnificent! Because of cause and effect, discern the times. All because of confused attachment to this illusory shape. We tire out our parents, and cling to our wives and children. Our vain ignorance leaves behind a trail of karmic debts. Song of the Skin Bag, the skin-bag lament. Drinking wine and eating meat confound the mental nature. Indulging desires in greed for pleasure brings ruin in the end. Buying and selling is cheating people by means of craftiness. Honor, wealth, extravagance how long can they last? When misfortune and poverty come, all is spent in an instant. False discernment of self and others creates inequality. By harming living things, we treat them as so many weeds. And every day our reckoning’s based on stupidity, anger, and greed. Sinking in these perversities, we’re destroyed entirely. Recklessly we kill, steal, lust, lie. Contemptous of kin and friends, we’re ravaged by love and hate. Not understanding birth and death, we’re truly at a loss. From a cow’s belly born, we enter the womb of a mare. As heads and faces change, who praises his luck? How vain our passage through birth and death! How useless the clamor of our lives! Or suffer as ghosts or animals. Attempting to stir the strings of our hearts. Retributions for good and evil are sharp and clear as can be. They awaken us so that we want to leave the five-fold turbidity. Endowed with form, let it not encumber you. Illusory substance, mere false name, it’s just a relative dharma. Quickly turn your heart around, and contemplate at ease. Withdraw from the world and leave. Enter the door of emptiness; receive the Buddha’s precepts. Stop the climbing mind’s insanity. Once and for all, to the red dust wave goodbye. Without self or other, afflictions cease. Be not like the worldly, who sigh at the passing of mist and dew. A robe to shield you, food to fill you enough to sustain your body’s needs. Look lightly on body and life. Reject them as spit and phlegm, and do not hesitate! In four comportments be clear as ice and pure as jade. When scolded, don’t be angry: when beaten, do not hate. Bear what is hard to bear. Ignore both winter and summer. From beginning to end, recite with a single mind ”Namo Amita Buddha”. Be like the pine and the cypress, never fading, evergreen. Wholesome knowledge is to understand what it is you hear and see. Make your mind round and bright. Return to the origin; reach liberation. Go back to the source, retrieve your heaven-true nature. The divine potential’s revealed; its wonder hard to imagine. You’ve arrived; you haven’t toiled in vain. Just in that instant; for you it is finished. You are rightully given the name ”Great Hero”. You embody ten titles – perfect and bright teaching ten thousand generations. Ah! The same leaking shell can now manifest bodies throughout ten directions! With good and evil distinguished clearly, no more mistakes occur. But why do you rely on the false alone and yet not practice the true? The T’ai Chi ”absolute” divides into heaven and earth. With a lively thrust, you should turn the ch’ien and k’un of your own mind. Kings and prime ministers certainly practiced the Way in previous lives. Wealth and honor or utter poverty are due to people’s past causes. Once there is birth, death then will follow; everyone knows this. For wives and riches, for heir and fortune, you ruin your future. It’s all due to anger and greed. For what sort of profit, for what kind of fame have I wasted nineteen springs? A thousand matters are not as you wish them to be. Embroiled in the world, you’re assailed by hardships constantly. Once old, your eyes grow dim, your hair turns snowy white. With no particular virtue at all, you’ve wasted your whole life! Days stretch to months, months reach to years. In vain you lament the passage of time, rolling on and on like a wheel. Who is immortal in this world? Better return and bow to the One whose compassion is like a cloud. Just as you wish, in comfort and ease. But do you know? Are you aware? Just how much idle, empty chatter do you want to hear? How many can be like that? Attain the purport of the School. In such endeavors there’s boundless vigor and energy. Let not your mind be greedy. Throughout the day and night, rejoice. Be happy in the Dharma. Get rid of self and others, do away with this and that. See that foe and friends are equal; forget about slander and praise. Gone are impediments, there’s no shame or insult. Achieve a mind like the Buddhas’ and Patriarchs’. The Bhagavan cut the strings of love and climbed the snowy mountains. Kuan Yin bade farewell to kin and became the Buddha’s disciple. Hermits Ch’ao and Hsu passed their days. Ch’ao washed his ears in the stream. also gave up officialdom to roam the rivers and mountains. Now strive to be like those of old in search of our enlightenment. We waste our resources, reap the world’s scorn. Weapons, armies, plagues, and droughts much misery to be borne! Famines and wars are more and more frequent at every turn. The daily news is fearful, full of strange forebodings. What can we do while caught in this age and time? This surely is the result of evil done in former lives. Faced with such adversity, we can fall into worse confusion. Such wholesome thoughts can help us enter a temple and bow to the Dharma King. Then your blessings can grow. Bow to a bright-eyed teacher, seek for certification. End birth and death: see the mind, understand the nature. Smashing through impermanence is what we mean by permanence. The path within the path is found through strong cultivation. The sages and worties bequeathed wise sayings and lucid exhortations. Uphold the Tripitaka teachings with reverence. Cleanse your heart; purge your inner workings. Encourage people to guard what is proper. Don’t think my words are idle. Don’t fail to pay attention. Great cultivators must see their own natures. Quickly cultivate and be heroically vigorous. Aim to be born in the nine lotus grades, to be certified by the Buddhas. Let Amitabha Buddha take you to the West. Put down the skin bag; ascend the utmost vehicle. The Song of the Skin Bag’s sung. I urge you all to listen!